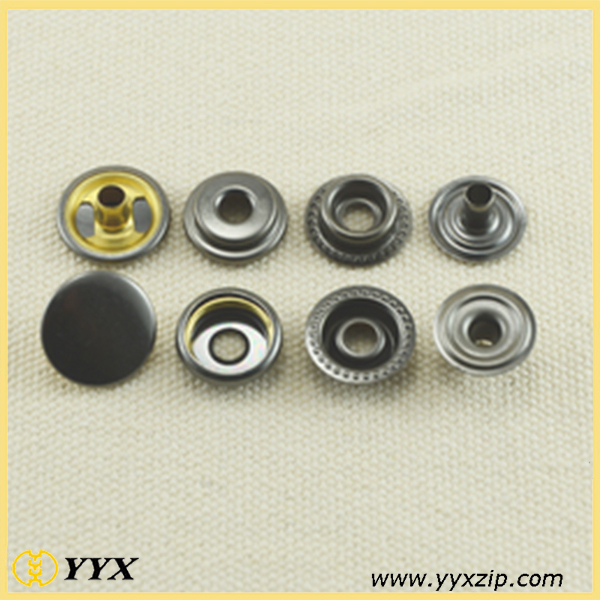 Product categories of Metal Button, we are specialized manufacturers from China, Snap Button, Press Snap Button suppliers/factory, wholesale high-quality products of Customized Snap Button R & D and manufacturing, we have the perfect after-sales service and technical support. Look forward to your cooperation! 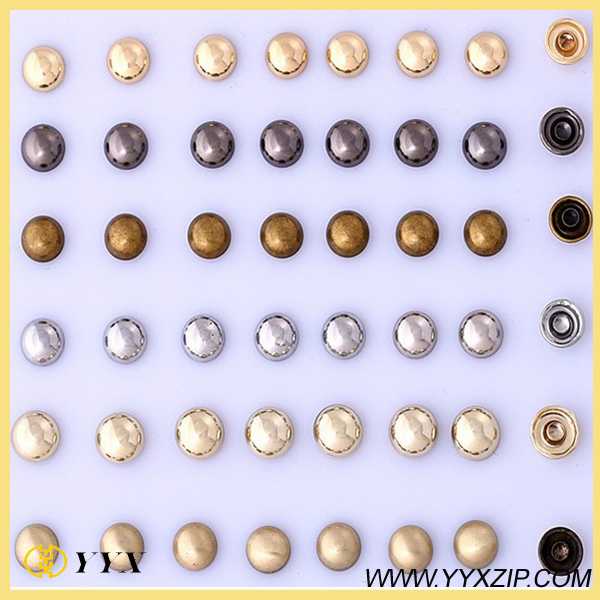 Applying metal snaps, shank buttons, rivets and other fasteners is a general way to add utility and professional quality to your garment or bags. 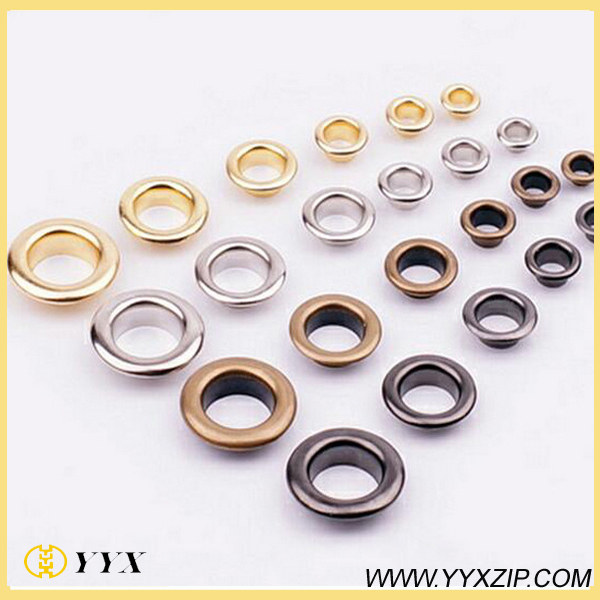 We offer those metal buttons in a variety of finishes, such as shiny gold, silver, brass, antique brass, gun metal. What is the difference between Ring snaps and Spring Snaps? If you're looking for standard utility snaps, our ring snaps (with or without prong) are the highest quality and will serve your purpose well. If you need something unique, our metal buttons are made with design and fashion in mind. There are two different types of snaps currently on the market - post-style and prong-style. A post-style snap has a shaft that requires a hole to penetrate the fabric. A prong-style snap has teeth that penetrate through the fabric. For best results, look for industrial quality snaps that are sure to stay secure. Technically, snap fasteners are mechanical closures consisting of a closure unit and attaching unit. A post-style snap has a shaft that requires a hole to penetrate the fabric. A prong-style snap has teeth that penetrate through the fabric. For best results, look for industrial quality snaps that are sure to stay secure.